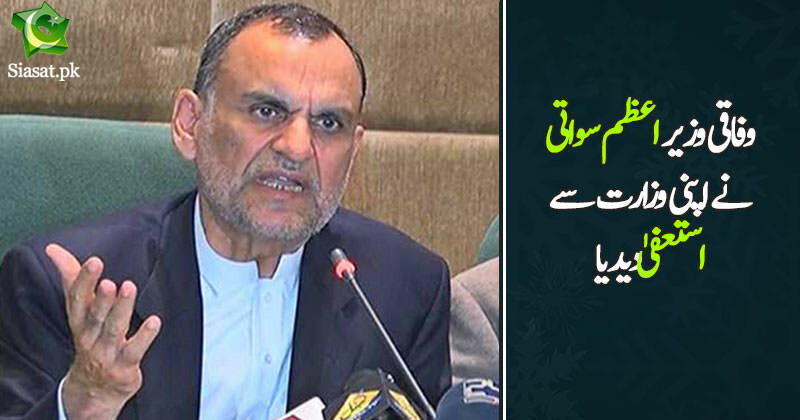 Should also be kicked out of the parliament.... he is a shame for PTI..
Yani achay kaam.kintareef na karna kabhi bhi....IK.said the courys has to decide his fate..aur waisay bhi general.rule is k u r innocence until.proven guilty. Give the credit where it is due. Good Step. Waleed Iqbal should replace him without any doubt. Only PTI can do this. Be it Khawaja Asif, Nawaz Sharif, Saad Rafique..there isn't any precedent of the same. PTI should ask him to resign from Senate too. There shouldn't be any place in PTI for such fraudster. PTI/IK will save their skin by stripping him off Senatorship. Hopefully Zulfi Bukhari will make same decision. میرٹ کی دنیا میں اگر ڈلیور نہیں کر سکتے تو جہاں اوپر کی آمدنی نا ہو وہاں استعفیٰ دینے میں زیادہ سوچنا نہیں پڑتا. He just resigned from ministry not from senate. He's another ATM for PTI. He'll still continue as a PTI executive member like JKT.